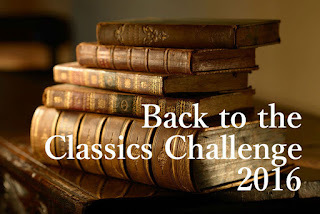 I’m closing in on or finished with all my challenges except the Back-to-the-Classics challenge. 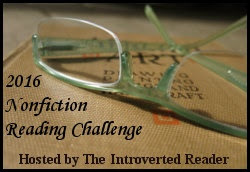 I always particularly enjoy picking the books for this challenge, then drag my feet getting around to them. So, I decided before I read anything else, I had to finish one of my classics. 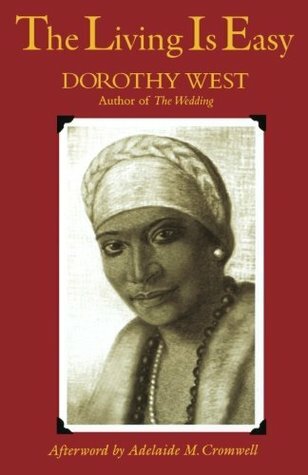 I went with The Living is Easy by Dorothy West for my classic by a non-white author. West, daughter of an ex-slave, wrote this novel during the 1940s. She was part of the Harlem Renaissance. I fully expected to be moved by this book. The story follows the life of Cleo Jericho Judson. Cleo was born in the south, the eldest of four girls, to a sharecropper. She moved north, married a wealthy business man, and set about deceiving him and treating him poorly in her quest to socially climb among the black families of good name in Boston. She devotes the bulk of her time to weaseling money out of him, the rest to lying to family and acquaintances in the hopes of personal gain. As soon as she is able to con her husband into moving into a larger house in a better neighborhood, she lies about the situations of her sisters, and gets him to send them money to come visit. Cleo’s sisters have settled in various places, marrying men they love. They aren’t wealthy. They aren’t moving up in the world. But they are loved and content. Cleo sets out to change all that. She manages, by hook or by crook, to ruin her sisters’ marriages. Each has brought a child along to Cleo’s house, and she arranges their lives as well, forcing them to become little Bostonians. Cleo has also arranged the life of her daughter’s tutor, an impoverished young woman whose father, from one of the oldest established families, had gone bankrupt and died. Cleo is a master manipulator whose need to be admired is pathologic. She craves control. Eventually, she bleeds her husband dry. (That’s not entirely her fault. WWI has started, affecting his shipments of bananas. And the consolidation of grocery stores squeezes out independents. But one gets the sense he might have done better if not supporting all Cleo’s sisters and nieces and nephew–as well as the insatiably money-hungry Cleo.) Although she treated him like dirt, she realizes how dependent she is on him. The loss of his unconditional support is devastating. Or should have been. But even at rock-bottom, Cleo has no real insight. She is still weaseling money from people and looking for who to exploit next. This well-drawn portrait of a narcissistic sociopath is surprisingly dull to read. There is social commentary and portrayals of racism (largely intra-community racism as the lighter skinned among them are more admired, and they get to look down on those who are darker, or those more recently come up from the south.) With good writing and themes that are unusual and uncomfortable, this should have been more compelling. Yet the story manages to be both unpleasant in its revelations and tedious. Only towards the end does the pace pick up, because the reader will be more than ready for Cleo’s chickens to come home to roost. Unfortunately, that means the good and the weak people in the novel are dragged down with her. While I tried to find an underlying insecurity in Cleo, or some reason to excuse her or empathize, in the end there was no justification for her utter selfishness. Maybe it’s just that I didn’t need to be reading such a pessimistic book about such an awful person when there is so much horrible stuff going on in the real world just now. It was a struggle to get through. 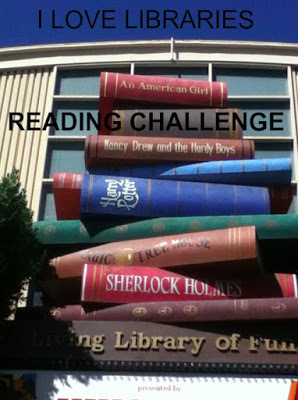 But at least I can now check off one more book on the challenge. There is a new historical mystery series out soon that features a female Pinkerton Detective. Thanks to Netgalley, I was able to read the first book: An Untimely Frost, by Penny Richards. As the novel opens, Lilly has just been abandoned by her four-months husband, a no-good scoundrel and con artist who has stolen her life savings. Lilly has good reason to think poorly of men, and spends a lot of time in the novel reminding herself of it. While debating what to do next, Lilly comes across an advertisement for women interested in joining the Pinkerton Detective Agency. Figuring her acting skills (which include handling a pistol and a sword) will serve her well in such a job, and armed with the conviction that most cases needing to be solved involve men who have mistreated women, she applies for the job in order to help others. She knows she won’t find her husband or the man who murdered her mother, but she does think she can find satisfaction from stopping other men from hurting other women. Lilly gets the job. Her first assignment seems mundane. She is to track down the owners of an abandoned house in a small town called Vandalia, a preacher and his wife, who have disappeared. A couple wants to buy the house but has been unable to locate the previous owners. 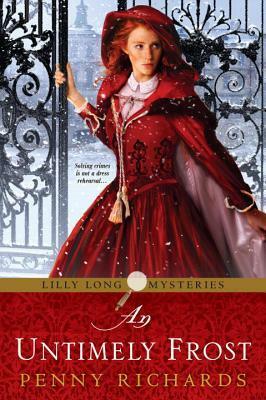 Lilly sets out for Vandalia, a little disappointed that the job is so dull, but certain she can succeed. The job is more difficult than she expects. Along the way, she discovers a trail of embezzlement, concealment of wrongdoing by suspicious, injured townspeople, and probable murder. Plus, someone is following her. And, someone may be trying to kill her. Lilly is a plucky protagonist. Some of the plot is a bit farfetched, but not enough to detract from the storyline. The reader can anticipate some of the developments before Lilly catches on, but she is young and naive, and this case is a learning experience for her. An incipient love interest shows up, but development along that front will have to await future installments. I expect to hear more from Lilly! 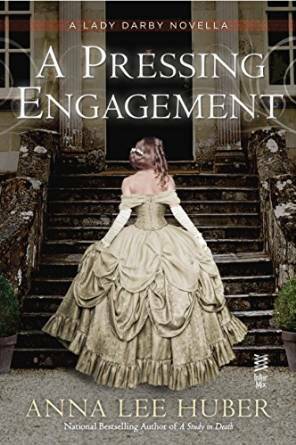 In anticipation of Anna Lee Huber’s latest installment of The Lady Darby Mystery series (Book 5: As Death Draws Near), I thought I’d better read her novella, Book 4.5: A Pressing Engagement. This short, sweet piece continues the love story between talented sleuth Lady Kiera Darby and investigator Sebastien Gage. Despite a rocky start in book 1, they have become detecting partners and have fallen in love. Now, it’s time for their wedding. The novella would not read well as a stand-alone. Readers need to be aware of the history between the two and to be acquainted with other characters such as Kiera’s concerned sister and the rogue crime boss, Bonnie Brock. But for Lady Darby’s followers, this little book is a treat. It’s the day before the wedding. Kiera is going out of her mind being coddled by her sister, who is trying to turn the quiet wedding desired by bride and groom into the celebration of the century, or so it seems to Kiera. Fortunately, a little mystery pops up for her and Sebastian to solve to pass the time. The mystery ties together some loose ends left over from a previous book. At the same time, Kiera learns more about what has made Bonnie Brock the man he is. A Pressing Engagement is a nice "filler." It will be interesting to see how the storyline progresses now that these two detectives are husband and wife. 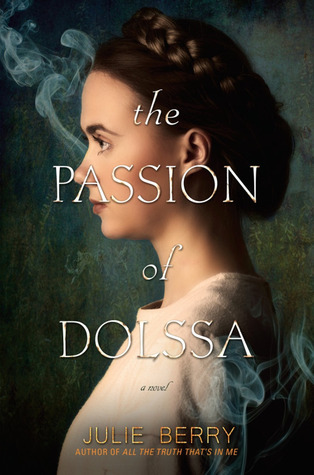 The Passion of Dolssa by Julie Berry was very favorably reviewed on a blog I follow and, because it is set in my favorite historical place and time, I squeezed it onto my to-be-read list. What a rewarding read! Dolssa is a young Christian mystic, a noblewoman who has found an intimate relationship with Jesus during a time when any sort of religious aberration is suspect. She living in Provence, Provensa, in the mid-thirteenth century, just after the Albigensian Crusades. Inquisitors are bent on rooting out any last remnants of "heresy." Although they are specifically hunting Goodmen and Goodwomen (Cathars), they will not let a girl who claims to speak directly with Christ slip from their hands. Dolssa is sentenced to be burned on the pyre. However, she makes a miraculous escape and flees. Life on the run is difficult for a naive gentlewoman. She’s found near dead, hidden next to a river, by a peasant woman named Botille. Botille is the true heroine of the story. She and her two sisters are relative newcomers to a small town, Bajas, where they renovated an old tavern and made a place for themselves. With their hard work and unique talents, they have become favorites there, but are not so well-loved that they can bring a heretic, one being pursued by Inquisitors, boldly into Bajas. Anyone who shelters or aids a heretic is subject to the same punishment as the supposedly guilty one: execution, sometimes preceded by torture. At first, the sisters try to hide Dolssa, but this becomes impossible as she starts healing the sick of the town. Word of a holy woman spreads. Botille has many friends in Bajas, but finds them pulling away as the danger increases. It’s only a matter of time before the Inquisitors track Dolssa down. Botille’s one steady support (in addition to her sisters) is a man she finds rude and churlish. Still, without his support she’d be in even worse straits. 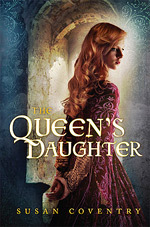 When the Inquisitors do come, Botille (and her sisters, and Dolssa, and the rude young man) risk losing all. The novel is difficult to put down. Written in a style that pulls you into medieval Provence, it’s pensive without being slow. 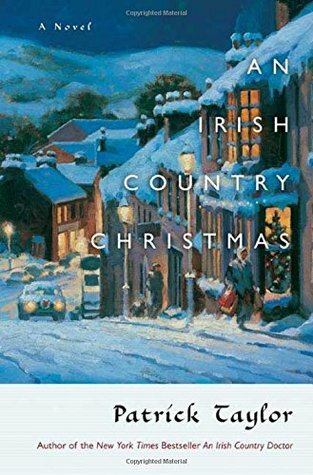 The voices of the characters are distinctive and convincing, and the sympathetic heroines have you rooting for an outcome that circumstances are unlikely to allow. The setting is vividly described. This is my favorite kind of historical fiction. 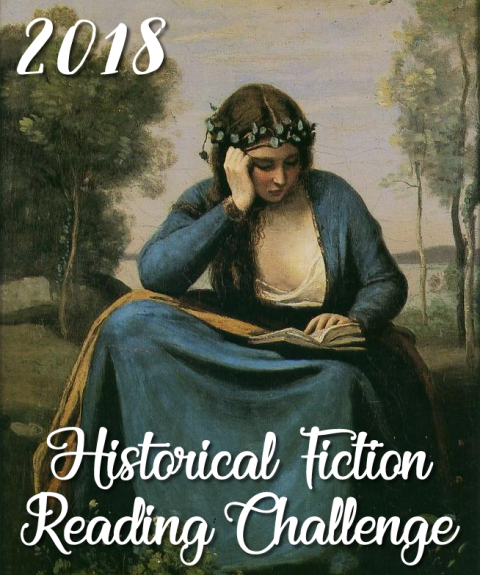 A historical note, glossary, and reading lists at the end of the novel demonstrate the thoroughness of the research behind the story, and the author leaves to the reader the choice of how much of the tale is to be believed. We’ve recently returned from a family vacation in Europe, primarily Germany but we also stopped in Denmark and Belgium (Bruges). I’ve wanted to visit Bruges forever, since it’s a medieval jewel and the site of the intriguing assassination of Charles the Good. However, as much as I loved Bruges, I was frustrated by how little knowledge I have of Belgium. Its history is complicated. It’s part of "the low countries," a designation I’ve never really understood. So, while browsing the small English language section in a touristy bookstore, I came across a "brief" history of the country: Belgium. Long United, Long Divided by Samuel Humes. Although relatively short, it’s densely written and gives a great overview of how the country formed and of the forces that threaten to tear it apart. The country has always been an amalgamation of different parts. In the past, the biggest threats were from without, as it passed back and forth between French, German, and Dutch hands. 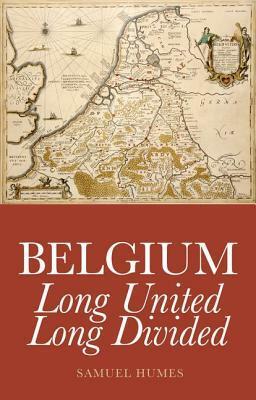 Currently, its greatest threat is from within, as the Walloon (French-speaking) and Flemish (Dutch-speaking) natives of the country vie for primacy and political control. Interesting as the current debates are (and discussion of them permeated the book), I was more interested in the history. The book starts in Roman times and carries us through to the modern day. It is necessarily superficial in its detail, but covers a good deal of ground. I came away with a much better framework for understanding the history of this area. I only wish I had read it before my visit! I’ve always loved the post office and am fascinated by how it works. Email is quick and convenient, but I miss the days of exchanging letters with friends and family by regular mail. 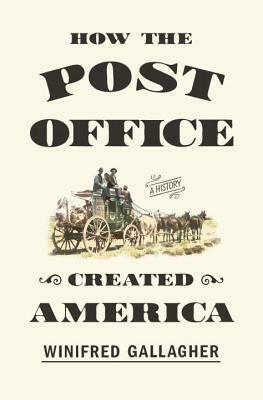 When I saw this Netgalley offering—a history of the U.S. Post office—How the Post Office created America by Winifred Gallagher, I knew I wanted to read it. This well-organized, informative book looks at the crucial role the post office played in providing information services to people throughout the history of the U.S.A., and demonstrates how influential the U.S. Postal Department was in growing the country. Mail went hand-in-hand with westward settlement. Subsidies to stage coaches, the railroad, and finally the airline industry made these burgeoning transportation industries economically viable. Roads were built so that mail could get through. Newspaper delivery was kept inexpensive so that the population of the country, even in its remotest outposts, could stay informed. This book is chockful of information not just about postal history, but about U.S. social history. The epilogue touches on the challenges facing the post office today, putting them in historical context. The post office has faced numerous difficulties in the past. Previously, it has adapted and grown. The author offers up scenarios for revitalization. The book shows how the postal service has had a remarkable far-reaching impact on the development of the U.S., more so than I ever imagined. I’ve always loved mail, but now I have a whole new appreciation for the postal service. 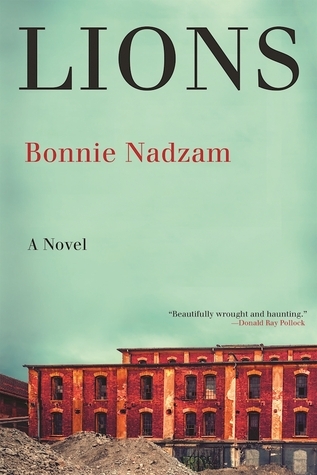 Lions by Bonnie Nadzam is a novel about love and loss, contentment and regret. The themes are common ones, but elevated by the haunting style and lovely writing. Lions is the name of a dying town on the plains, a place of disappointment and heartbreak where a small group of good people struggle to get by, and where most don’t. There are multiple protagonists, but the story focuses on two young people in love, Gordon Walker and Leigh Ransom. Leigh works in her mother’s tumble-down café, a place where hungry and sometimes curious motorists stop for lunch while on their way somewhere else. Leigh has two ambitions, to leave Lions and to take Gordon with her. Gordon works in his father’s welding shop. John Walker is a local legend of sorts. His welding is famous throughout the area, and it’s said he could make a bundle if he were to take his talents to the city. But John won’t ever leave Lions and his devoted wife is content to stay also. There is a rumor about town that John stays to take care of a ghostlike creature up north somewhere: Boggs. Rumor had it that an old miner named Boggs was wounded on the trail and his friends left him for dead, but he didn’t die. Instead, he was discovered and saved by a long ago good Samaritan. Ever since, and this has been generations, it has fallen to someone to take care of him. No one believes the old legend, but everyone believes that if it were true, the caretaker would be the generous, calm John Walker. Rumors are fed by John’s mysterious disappearances. Every few weeks, he drives north for days at a time and no one knows where he goes, except, perhaps, for his wife. And she’s not saying. The summer before Leigh and Gordon are supposed to leave for college, everything falls apart. Supposedly, it starts with the entrance into town of a nameless wanderer, a homeless man with his dog, who is fed and clothed by the Walkers. But when he gets into town, he’s mocked by the local bully. A bar fight ensues and the man spends the night in jail, to the detriment of all involved. Shortly afterward, John Walker has a heart attack and dies. His business falls to Gordon. As Gordon changes and Leigh’s hopes fade, others in town are forced to make decisions also. The town, which has been called "a living ghost town," continues dying but at an accelerated pace. Lions is strange, sad, multi-layered, and highly recommended. 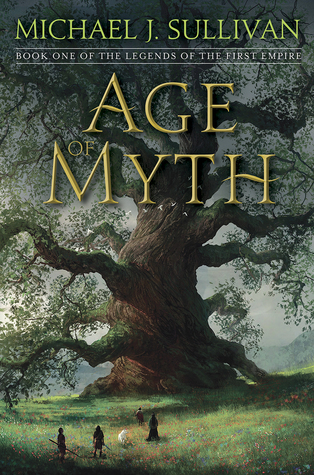 Fantasy fans of Michael J. Sullivan’s Riyria books will be thrilled by his newest offering: The Age of Myth. This first book in a new series takes us back to the world of Elan created in Sullivan’s first two series (The Riyria Revelations and The Riyria Chronicles). The new series takes place 3000 years earlier and shows the "true" history of the land, events that are alluded to in previous books. The Fhrey are powerful and warlike. They’ve conquered the other races (men and dwarves) and confined them to suboptimal places in Elan. The Rhunes live in outer barren lands as subsistence farmers, hunting in the few spots allowed them. However, the Fhrey are having political problems that threaten the fabric of their advanced civilization. One group, the Miralyith, have discovered how to use magic. With this incredible power, they dominate the other elves. Some of the Miralyith consider themselves gods and relegate the other groups to a lower status, approaching that of Rhunes, whom they consider little more than animals. Conflict between elf factions is inevitable, but is expected to be limited by the unbreakable rule that elves cannot kill elves. Events of the epic are set in motion when a Rhune named Raith crosses a forbidden river to hunt in the more promising lands of the Fhrey. He encounters one of them and, after a violent confrontation, kills him with the help of one of the Fhrey’s slaves, a human named Malcolm. The elves come after the humans seeking revenge. Raith and Malcolm seek refuge in a small village of humans that is having troubles of its own. The leader of the human village has recently been killed by a vicious bear that appears to be hunting down the townspeople. They have elected a new chief, but many of the people are more comfortable following the widow of the old chief, Penelope. The first elves to find Raith are led by Nyphron (a familiar name from the Riyria books.) He’s not a Miralyith and he has an agenda of his own. When Miralyiths start showing up, the stage is set for a clash of civilizations. The Age of Myth introduces us to the conflicts and major characters of what promises to be another superb fantasy series from Michael J. Sullivan.